I love this book. It is a collection of absolutely adorable illustrations of monsters with information about the absolutely horrifying ways they will kill you. Instead of focusing a narrow light, the book includes monsters from legends from around the globe. A few are pitiful, which nicely adds an unexpected element to the book when they are featured, but most are straight up killers: carnivorous unicorns, beasts that tickle their victims to death, and sea creatures just waiting for a disobedient child to wander past. It is a beautifully illustrated, quick read cryptid bestiary. The audience for this one may be a tad limited. The right child will be fascinated—I cautiously showed one entry to my six-year-old daughter and she insisted we sit and read the entire book—but for a more timid child this could be nightmare fuel. Less nervous fans of Fantastic Beasts and other mythical bestiaries should have this on their shelf. 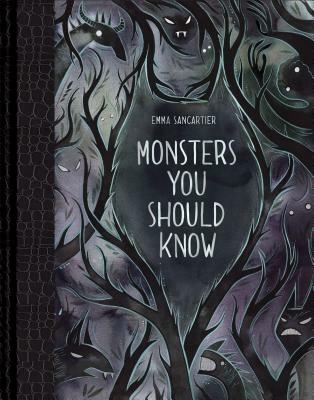 "An important book on monsters you should know about, mostly because it turns out they're really cute."